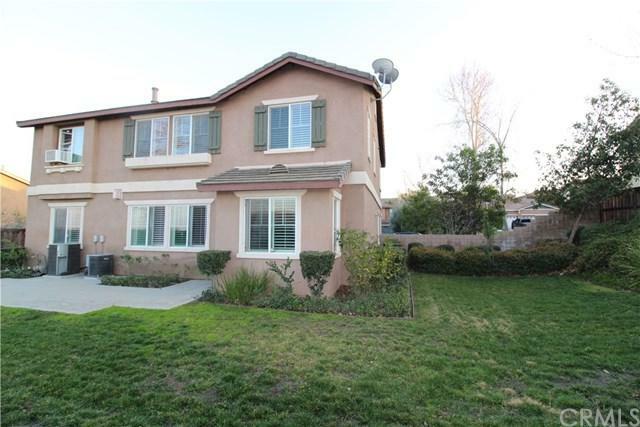 18590 Krameria Avenue, Riverside, CA 92508 (#300804354) :: Ascent Real Estate, Inc. 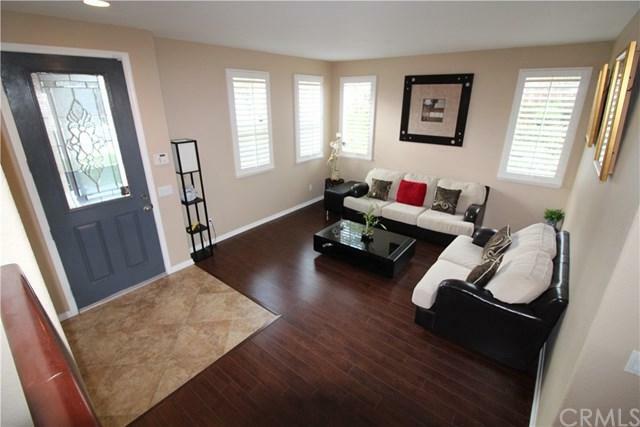 This beautiful Model Home is located in Mission Ranch with many upgrades. 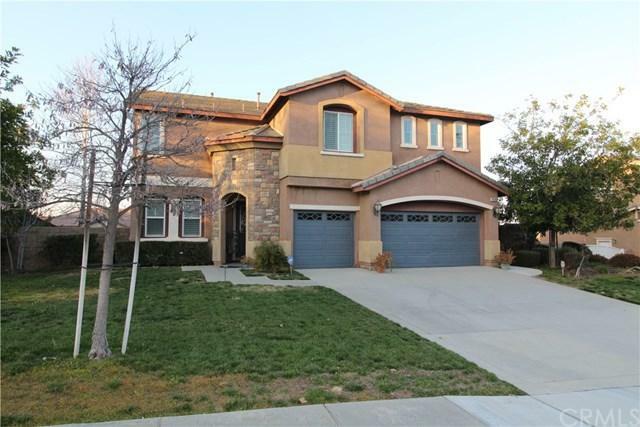 4 spacious Bedrooms, 4 Baths, YES a 4th BATHROOM!, 3,198sqft., located on just under a Ãƒâ€šÃ‚Â¼ acre, .24 of an acre. This large open floor plan with vaulted ceilings provides an upgraded kitchen, granite countertops with travertine back-splash; entire home has Custom plantation shutters, tile entry blended with wood laminate flooring throughout the house. Living room has a beautiful custom warm fireplace, large downstairs family room tha This beautiful Model Home is located in Mission Ranch with many upgrades. 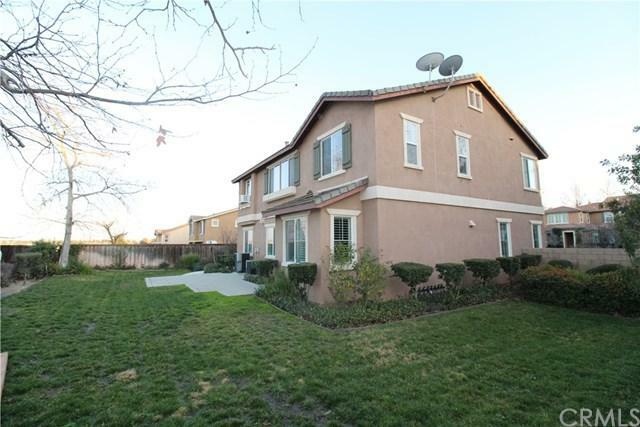 4 spacious Bedrooms, 4 Baths, YES a 4th BATHROOM!, 3,198sqft., located on just under a Ãƒâ€šÃ‚Â¼ acre, .24 of an acre. This large open floor plan with vaulted ceilings provides an upgraded kitchen, granite countertops with travertine back-splash; entire home has Custom plantation shutters, tile entry blended with wood laminate flooring throughout the house. Living room has a beautiful custom warm fireplace, large downstairs family room that could easily be converted to a 5th bedroom. Upstairs loft area features a large built in desk. Oversized Master Bedroom suite with retreat, custom fireplace with beautiful views, Master Bathroom has custom countertops and huge custom tile shower with separate oversized tub. Security system. Check out ÃƒÂ¢Ã¢â€šÂ¬Ã…â€œTop Rated SchoolsÃƒÂ¢Ã¢â€šÂ¬Ã‚Â in the area & private schools nearby. Large 3 car garage, beautiful mature landscaping front and back. DonÃƒÂ¢Ã¢â€šÂ¬Ã¢â€žÂ¢t miss this opportunity to call this home.